This Retainer Agreement conveys the terms of our service. You are bound by this Agreement when you hire our services. You as the Client have retained the Law Office to represent you and your fiancé or spouse (hereinafter referred to as Beneficiary) in an immigration matter. The costs of our services are listed on our websites and are conOfficeed by either purchase online or in the Welcome Email. If a payment plan was agreed upon, the entire legal fee is due before we file any paperwork with USCIS. The Client will be responsible for and separatall required government forms in an accurate manner based upon the information and documents that the Client and Beneficiary provide. The exact forms we will prepare are based on the nature of the immigration matter that you hired us for and are specifically listed in the Welcome Email. The completed forms will be sent to the Petitioner for signature electronically. ely pay all applicable fees associated with the process, including but not limited to: USCIS filing fee, NVC fee, medical examination fee, document translation fee, and/or the US Embassy issuance fee. The Law Office will provide the Petitioner with a list of all necessary supporting documents for the preparation and filing of your immigration forms. Client must provide the documents requested to the Law Office. Once the immigration forms are signed and returned to the Law Office by the Client and Beneficiary, along with the supporting documents, the Law Office will file the completed petition with USCIS. Not applicable to ‘K1 Basic’ Clients. The Law Office reserves the right to handle all telephone, mail, and fax contact with USCIS. In rare circumstances, the Law Office may ask the Client to voluntarily contact the US Embassy to aid our office’s efforts to expedite the case or have it approved. The Law Office reserves the right to handle all telephone, mail, and fax contact with the US Embassy. The Client or Beneficiary however is responsible for setting the interview appointment at the US Embassy and bringing to the interview all Law Office prepared forms and required supporting documentation. In rare circumstances, the Law Office may ask the Client to voluntarily contact the US Embassy to aid our office’s efforts to expedite the case or have it approved. Upon hire, there exists an attorney to client confidentiality relationship. This relationship requires that we not disclose client confidences without your permission. All of your communications with our offices will be treated in confidence. This privilege exists to encourage candid and complete communications between the Client and the Law Office. As such, the Client agrees to inform, and keep the Law Office aware, of all information, even if negative or adverse to the Client, that might be relevant to legal representation in this matter. Failure to fully disclose all relevant information to may be grounds for cancellation of representation, at the discretion of the Law Office. Client acknowledges that Deron Smallcomb is the supervising attorney for the Law Office but that your primary contact and caseworker is not an attorney. 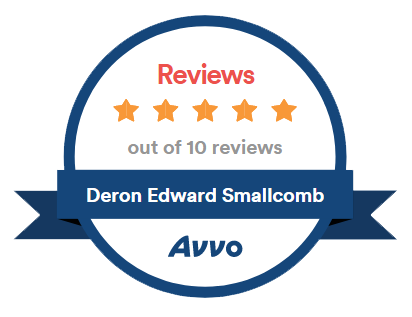 If legal advice is required at any point during the process, Client should ask to speak with Deron Smallcomb directly. We expect that all information given by the Client and Beneficiary to the Law Office, either orally or in writing will be accurate to the best of your knowledge. If the Law Office discovers that any information the Client or Beneficiary supplies us is willfully inaccurate or false, the Law Office is ethically bound to immediately withdraw from representation as required by law. written agreement concerning those other matters has been entered into by the parties. • The Client or Beneficiary doesn’t provide supporting documentation or requested information necessary to complete the application. The Money Back Guarantee / Refund Policy DOES NOT APPLY to any circumstances where the Client or Beneficiary break up, had a change or heart, decided not to proceed, or anything relating to elective termination of the Agreement after retaining the Law Office. The materials on the Law Office’s websites have been prepared to permit visitors to our web site to learn more about the services we offer. These materials do not, and are not intended to, constitute legal advice and should not be relied upon as such. Neither transmission nor receipt of such materials will create an attorney-client relationship between the sender and receiver. Our Free Consultation is intended only to prequalify a potential Client for our services. The staff at the Law Office do not offer legal advice, as they are typically not attorneys. As such, you should not act or rely on any information provided in the Free Consultation. Only existing paying Clients have access to the supervising attorney for legal advice. At no time and under no circumstances arising from the obligations under this Agreement, or otherwise related, will the Law Office, its employees or agents, and/or Deron Smallcomb be liable, financially or otherwise, for more than the Legal Fee paid by that particular client. Further, Deron Smallcomb cannot be held personally liable, only the Law Office.The jurisdiction governing any dispute is the State of California. Law Office – Law Office of Deron Smallcomb also known as The Law Office of Deron Smallcomb. Client – The United States Citizen Petitioner that retained our services. Beneficiary – The Foreign Citizen that is either engaged or married to the Petitioner. USCIS – United States Citizenship and Immigration Services. final approval of the immigration benefit sought. K1 Visa – The governments name for a fiancé(e) visa, for couples that intend to marry in the USA. Welcome Email – The email that the Law Office sends the Client upon signup / retaining us. It will include the exact forms we will prepare, the username and password for our secure information gathering website, and the informational guide and checklist for the immigration benefit sought.